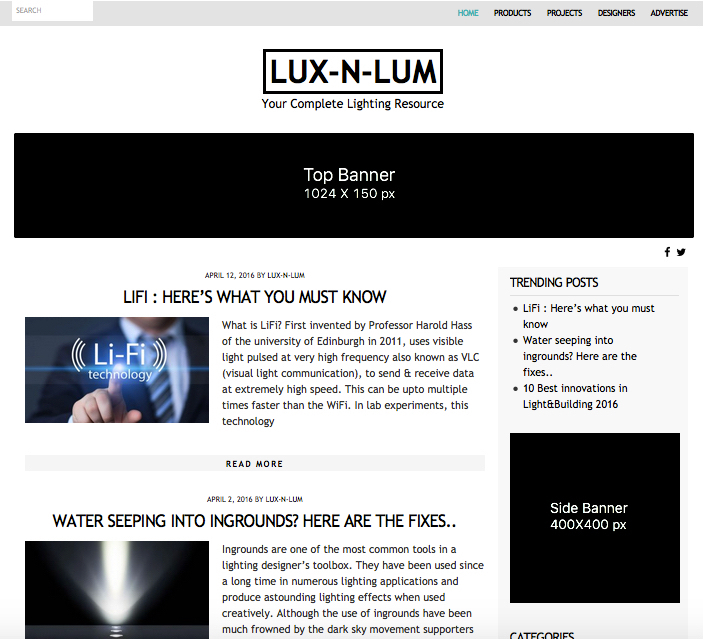 Lux-n-Lum is an online resource created specifically for growing community interested in lighting applications, design and light art. 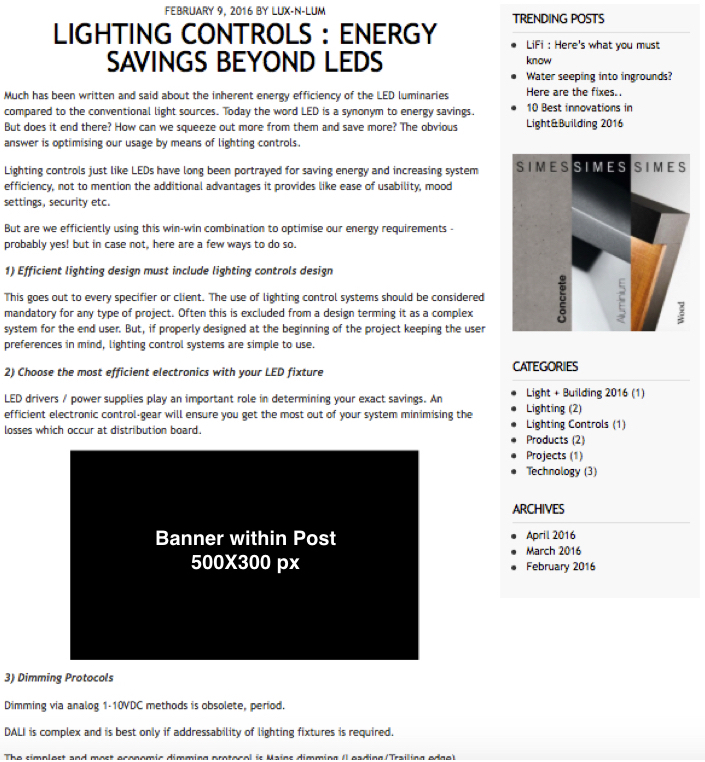 Here we showcase the latest trends in lighting technology, revolutionary products and innovative design projects. A section has been dedicated solely to established as well as upcoming designers which highlights their works & details. 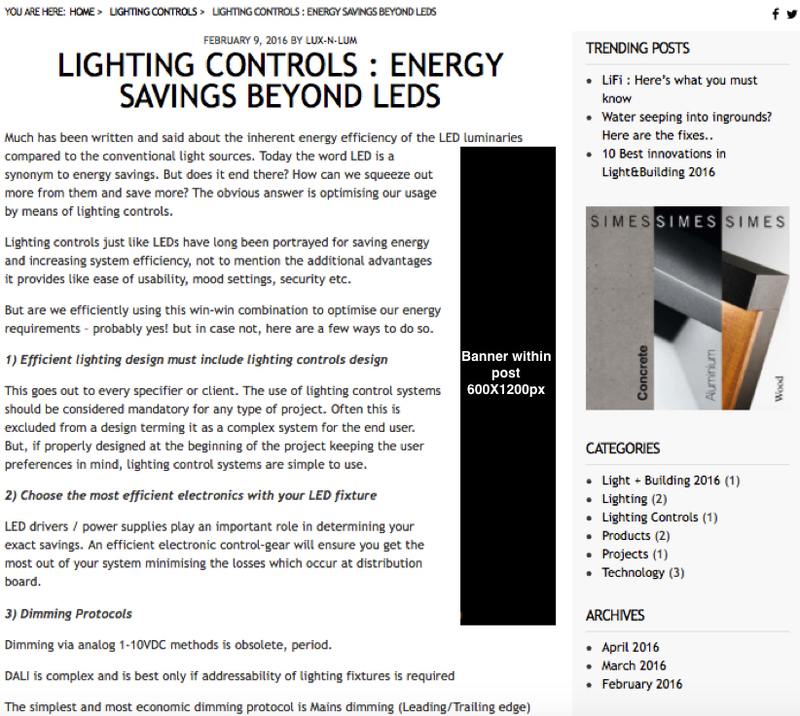 Our aim is to become a complete lighting resource for our readers covering all the possible aspects of lighting industry. Lux-n-Lum provides immense possibilities for advertising & marketing your brand, products & services to relevant target audience across all geographies mainly – lighting designers, architects, interior designers, electrical consultants, light artists as well as lighting professionals and consumers. Our advertising solutions includes various options to choose from to select the right online campaign to fit your goals and budget.